At facilities near Edmonton, Nutrien (formerly Agrium) is taking an innovative approach to reclamation and the beneficial use of phosphogypsum (PG), a gypsum by-product of the phosphate fertilizer industry. What may be the first-ever forest planted on a PG stack, the project is inspiring other industrial landowners to consider different approaches to reclamation. 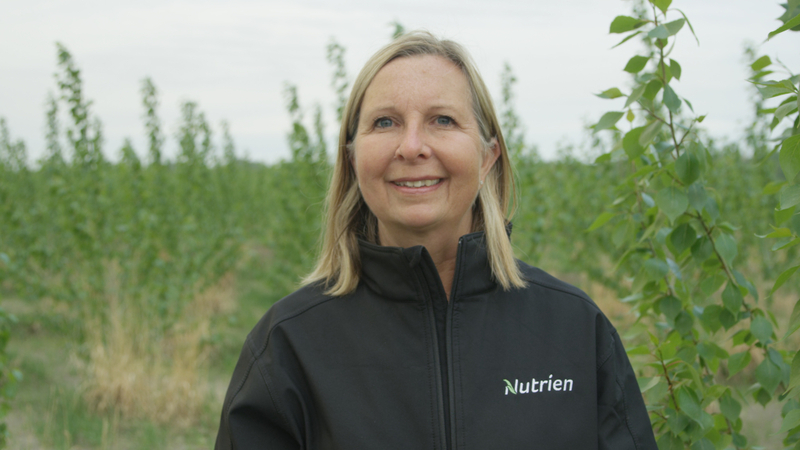 By establishing woody crops—primarily willow, hybrid poplar and white spruce–on 325 hectares of PG stacks (48 million tonnes of gypsum), Nutrien is also providing valuable data for the concept of creating soil. This is especially of interest in countries where agricultural resources are scarce. In the last decade, Nutrien’s reclamation research with the University of Alberta has enabled six students to earn Masters degrees around the project. The afforestation approach of establishing a mixed wood, boreal plains forest on top of PG stacks is found to have a positive environmental impact too, including generation of CO2, improving ground water quality and creating even faster-growing trees than on regular soil, thanks to the excellent water retention of PG stacks. Approximately 20 hectares of waste gypsum has been reclaimed and planted to concentrated woody biomass since 2015, saving high-quality agricultural land from being used for that purpose, and attracting increased wildlife (deer, rabbit, fox, birds, rodents) to the forested areas. Nutrien continues to share its research findings with the fertilizer industry, the reclamation community and the forestry industry.